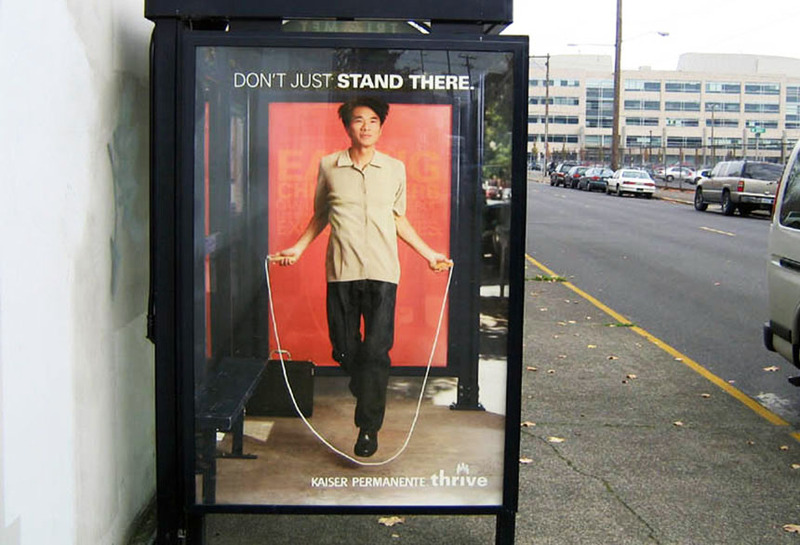 Kaiser Permanente health insurance used Lamar Bus shelter capabilities to market their brand. Bus shelters are strategically located along busy streets in major metropolitan cities, which provide excellent exposure to pedestrian and vehicular traffic. Shelters give consumers something to look at while they’re waiting for busses. Kaiser used amusing creatives to accent their brand and the importance of health.